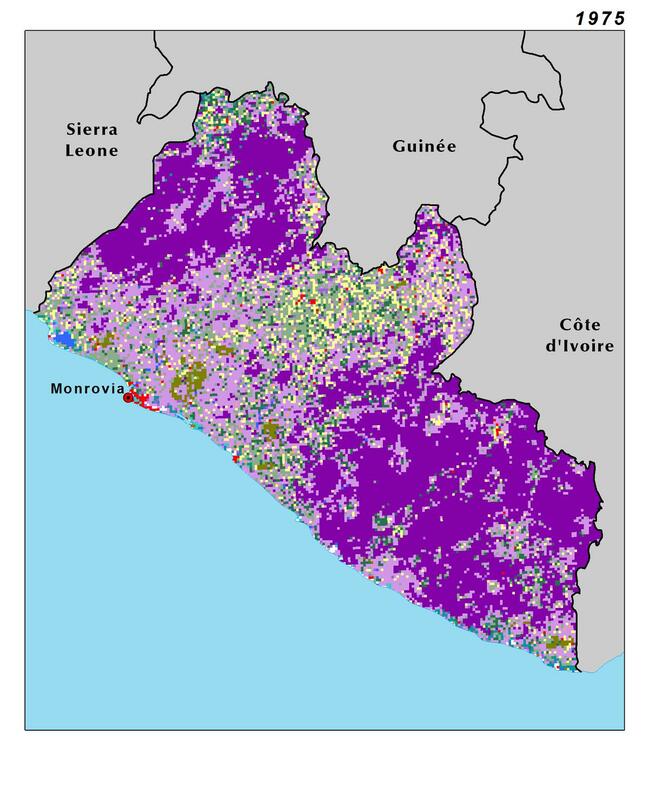 Liberia’s landscapes range from flat coastal lowlands with mangroves and swamps, to rolling hills and plateaus further inland, and low mountains in the northeast. The Nimba Mountain range, partially protected as a Nature Reserve, stretches along the Guinea border. The Coastal Plains (CP) are covered by a mosaic of savannas, degraded forest and agriculture. In contrast, the hills of the Montane Forest Zone (MFZ) and Tropical Forest (TF) ecoregions are mostly covered by dense rain forests. Within the Montane Forest Zone (MFZ), Mount Wuteve reaches a maximum of 1,380 m, the nation’s highest point. This mountain range is surrounded by the less densely forested Wooded Plateaus (WPt), where woodland and degraded forest dominate. 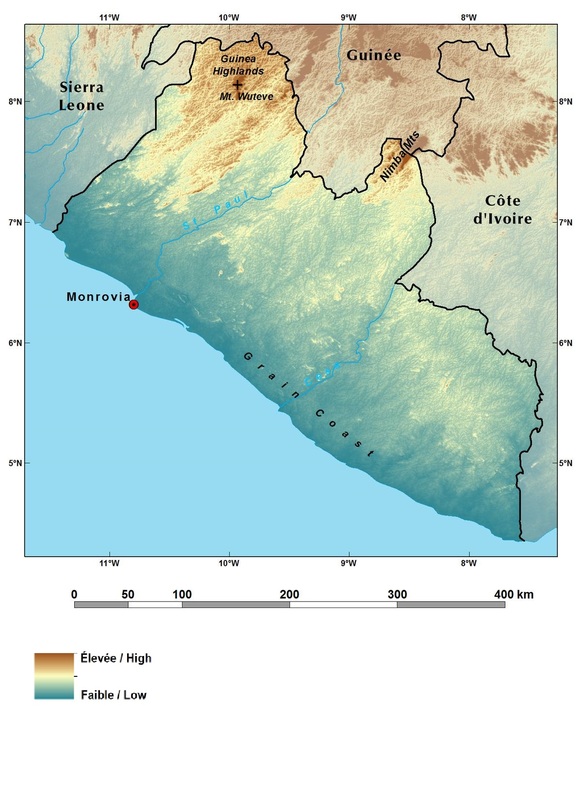 The Bong Interior Plateau (BIP) encompasses most of Liberia’s arable land.